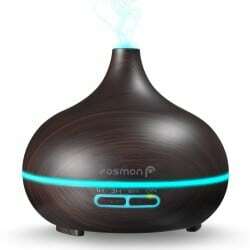 Reap the benefits of using essential oils with Fosmon’s essential oil ultrasonic diffuser. The ultrasonic oil diffuser uses misting and aromatherapy to aid in stress relief, allergy relief, improved relaxation, mood enhancement, and helps boost function in your respiratory, circulatory and immune systems. Aaptiv Inc. is a leading provider of premium digital fitness content. 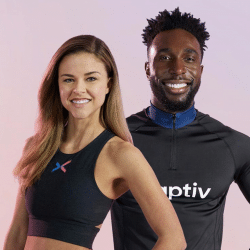 Aaptiv members have unlimited, on-demand access to over 2,500 audio-guided workouts and structured programs across every type of exercise and a wide variety of activities, including running, strength-training, yoga, indoor cycling, meditation, and more. Each workout or program is created by one of Aaptiv’s 20 certified trainers who focus on goal attainment, encouragement, and positive reinforcement – emphasizing the importance of both mind and body strength in living a healthy life. AmberNoon believes that contemporary clothing should be both professional but flexible, stylish yet comfortable, and timeless but adaptable in order to seamlessly transition with you through your busy day. Versatility and being sun aware is the key to every piece of clothing we make. Our clothing transitions with you while protecting you. If you’re looking for the perfect hair dryer that won’t give you loads of damage, the Pro Dry Soft Grip is for you! 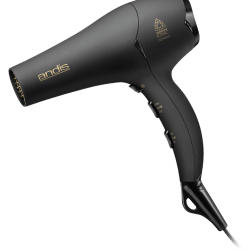 The tourmaline and nano ceramic technologies create smoother, silkier hair in 60% less drying time and penetrates hair from the inside out, for deep, long-lasting styles without typical hair dryer damage. Staying safe and secure on the internet is getting more and more difficult. With kids, the fear of how safe your interent connection really is gets even more real. That’s why I lvoe Anonabox! This is perfect for keeping your connection safe and secure and protecting you from all those awful bad guys out there! Give this top selling camera and lens package to the photographer in your life. Whether you’re taking photos or shooting video, this camera has you covered. It comes with lenses, a tripod and more! 🙂 While this camera won’t make you a star photographer, it will certainly help you get there. Feed your skin with this clay stick foundation! No more flaky, dry foundation sticks…this one hydrates and moisturizes your skin! Not only does it moisturize your face, it has 12 hour, full and creamy coverage that is almost unbeatable! I LOVE how it is full of wonderful nutrients like Vitamins C, E and Amazonian clay! What’s even better? 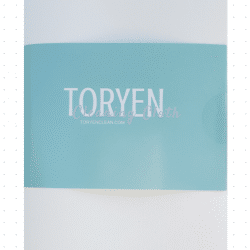 There aren’t any of those nasty chemicals like talc, gluten or sulfates…you won’t be disappointed with this one! 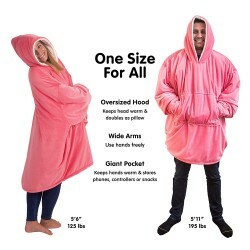 ORIGINAL OVERSIZED SWEATSHIRT BLANKET AS SEEN ON SHARK TANK: the coziness of your softest blanket with the fit of your favorite oversized hoodie is here. The Comfy keeps you warm and cozy lounging at home, watching TV, camping, at a sporting event or anywhere you need to stay snuggly warm. It’s the original blanket sweatshirt that was invented by 2 brothers who sang their way through Shark Tank and received backing from Barbara Corcoran. Everyone loves a good mug!! This Don’t Sweat the Small Stuff Ceramic Mug makes the perfect gift for anyone this year. Whether they are struggling with anxiety, or just need a daily reminder that everything is going to be alright, this mug is a great reminder not to sweat the small stuff! Are you ready to treat your hair to something ah-mazing?! 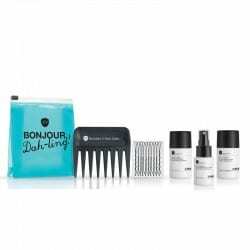 This Fit and Fab hair care set is the KEY to beautiful and healthy hair. With a detox cocktail of plant based cleaners and nourashing botanicals, this set is perfect for the excercise or fitness junky in your life…or even just you! With GoodJane’s Kiss My Lash Mirror and Hands-Free Stand Bundle, putting on fake eyelashes has never been easier. With its unique tri-fold design that allows a user to see their eyelashes from both the top and bottom angle at the same time and an easy to assemble stand that allows for free movement and manipulation of the mirror as well as magnets that allow for the mirror to quickly be detached, this bundle pack will be the center of your make-up vanity. The mission of GoodJanes is to bring fresh innovations and environmentally-friendly ingredients to the cosmetics industry, while not compromising the luxurious and modern feel of our products. 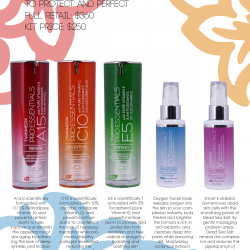 These sprays will change your life! No, we’re not talking perfumes here…we’re talking lice spray, soap in the mouth spray and calming sprays!!! The Sassy Spray is the modern-day equivelent to soap in the mouth. Have a sassy child, this spray will help nip it in the bud! Stinky Spray is a PERFECT deodorizing spray for your child’s diapers…no more smelly booties! Scary Spray is formulated with calming essential oils and developed to keep the monsters away from your child’s room at night. Sleepy Spray helps the sand man come and rock your sweet baby to sleep. Soothie Spray helps smoothe and comfort the diaper are and Lice Spray keeps the lice away! Tired of a lip stick, lip tint or lip gloss that rubs off super easy, dries out your lips or just looks plain horrible (let’s be honest…it happens). This Lippie Lingerie Matte Tint is about to change how you feel about lip tints! Super hydrating and available in tons of different shades, this one will never leave you hanging! I love all the wonderful ingredients that make a world of a difference – mango seed, cupuacu & murumuru butters all are PERFECT for your lips!!! 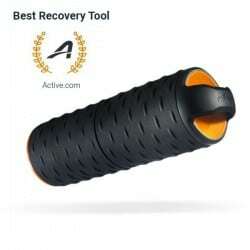 This game changing dual therapy massage roller combines the benefits of traditional foam rolling with the comfort and relaxation of 30-minutes therapeutic heat. The MojiHeat Massage Roller is the hottest roller on the market! This patents-pending roller features a textured, cushioned outside for maximum rolling comfort. You have never seen a globe this cool! This one comes with a bluetooth touch pen that has a headphone jack and a speaker! It’s not just about looking at the globe…this one lets you play up to 42 games, quizzes and gives you over 20,000 fun facts from all around the world. 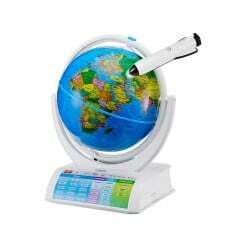 If you are looking for a way to really incease your child’s geography knowledge, it’s time to get this Oregon Scientific Smart Globe! Which color will you choose? 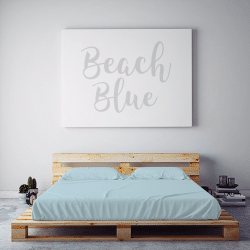 In everything from Beach Blue to Cotton Candy Pink, these sheets are more than just their color. They are luxurious and amazing to sleep in! If you are looking for soft and comfortable sheets, you just found them. Head over to PeachSkin Sheets today to order yours and to have a GREAT night’s sleep each and every night!!! Do you have a pool or hot tub and struggling with keeping the water pefect? This Wi-Fi enabled monitor for pools and hot tubs is built to fix that! 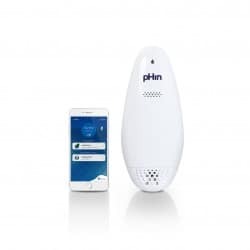 By monitoring your water 24/7, this device will completely take out the guesswork of the water levels, water chemistry and temperature by giving your recommendations of what you need to do to improve the water and keep it “smart”! This also comes with a mobile app, so you can check your levels directly on your smart phone. No more worrying about what you need to do- this one will do it for you! SOCKS!!! Who doesn’t love socks? I mean, we use them almost every day! 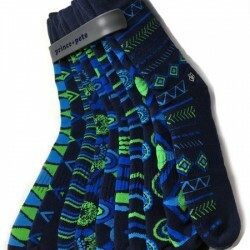 This starter pack comes with 5 pairs of socks…and if you lose one, they are all perfect to coordinate wit eahc other! Give a sock or get a sock…the opportunities are endless with how you can make this gift work for you! Ready to be your own chef? Know someone who LOVES cooking, but they aren’t that great (or patient) at it?! This one makes an AMAZING gift! Omelettes, quesadillas, waffles, burritos…anything you want, you can make in no time at all with this 5 Minute Chef! Just pour in your ingredients and boom, you’re all set! Are you ready to have a clean house…without even doing anything? This robot vaccuum is nothing short of life changing. With unique sensors that allow the robot to get into all the tight and hard to reach spaces of your home, this one simply can’t be beat. It cleans, docks, and recharges…all by itself. You don’t have to do a thing. Worried it won’t pick up those hard-to-get messes? Don’t. It will even pick up Cheerios off the carpet!! Blend you foundation like never before with this smoothie blender foundation! Perfect to use in combo with the clay stick foundation, it erases and smooths with every single stroke. If you’ve been looking for a wonderful foundation brush that really works, you’ll love this one! Pajamas!!! No matter how old we get, Pajamas are still the best thing to end the day with. There’s nothing quite like a comfy pair of PJ’s, a good movie, and a hot cup of hot cocoa. Snug As A Bug has you covered when it comes to getting the perfect set, whether for you or as a gift. From adult onesies to cat bandanas, they’ve got it all. So, what are you waiting for? Hop on over and grab your favorite pair now! Remembering to stay hydrated can easily be forgotten – especially during the holidays. The Fizzi One Touch has you covered so you can juggle holiday shopping and decorating while increasing healthy hydration* — just at the touch of a button. 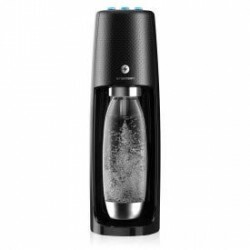 With three levels of automatic carbonation, you can perfectly customize your sparkling water and there’s no worry of accidentally fizzing all over yourself. Be prepared to fall in love with Squishmallows! 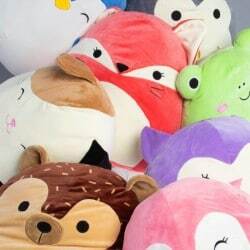 These loveable buddies are made from super soft marshmallow-like texture and polyester. Squishmallows offer comfort, suppport and warmth as couch companions, pillow pals, bedtime buddies and travel teammates. 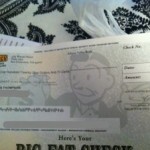 Ready to turn your house into something straight from a TV commercial? This will do it! Light up your house this Christmas season with red and green lights! Plus- these aren’t just any lights! 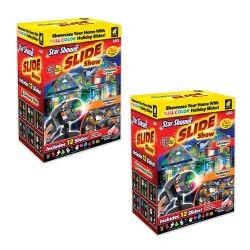 This one has 12 slides included- 6 Halloween slides, 6 Christmas and 6 Holiday! You won’t ever feel like your house isn’t decorated enough when you have this! Love movies?! 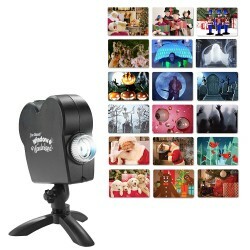 Now you can use this projector, loaded with 12 movies (6 Christmas, 6 Halloween) and never be bored again! All you have to do is place the projector by any window (inside), pick your movie, and head outside to watch it! Talk about AWESOME!!! This one really would make an amazing gift for a family member or friend…and would be awesome for parties!! Looking for the game that really brings silly and creative side of you? This game is sure to do it! 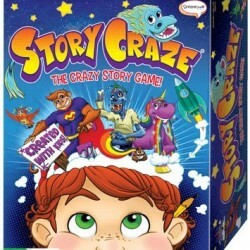 With different cards for people, places and things, this game will help you and your team come up with a super unique and FUN story to share with everyone! 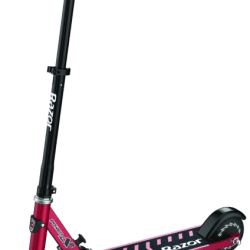 Seriously…this one is so fun, and it’s not just for kids, either! This is the flexible vibration massage pad that provides relaxing, full-body massage on soft or irregular surfaces such as beds, couches, or chairs. 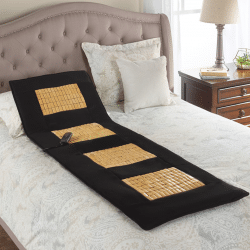 Unlike typical massage pads that require a solid, unbroken surface for operation, this one flexes at four points, allowing you to drape it over a lounger, chair, or any piece of sitting/reclining furniture. Its 20 individual 2″-thick foam-cushioned sections allow you to relax on any surface on which it is placed without pressure points. With a heating element in the lumbar section that reaches 126° F, the pad’s built-in massaging motors target the shoulders/upper back, mid-back, lower back, thighs, and calves, controlled with the tethered remote. You can also control massage intensity, and speed for a custom massage that ranges from one of six pre-sets. This is the perfect gift for just about anyone. Know someone who loses their keys all the time? Know someone who is just always worried they’re going to lose their keys? This handy device attaches to the keys, wallet, purse, even phone and acts as your very own search party any time you may lose something. Simply press the button on your tile and ta-da! Your phone will start ringing and you can even see where it is on a map! This beats lost and found! Can anything beat a clean and soft face?! Especially after a long, hard day. But how do you get deep into those pores and clean everything out? That’s where this facial brush comes in handy! 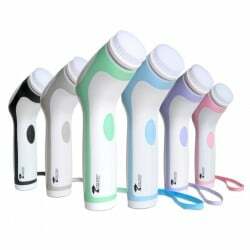 Battery-powered and water resistant, this professional face exfoliator is built with ease and cleanliness in mind. Not only will you get TWO face exfoliators (one medium brush and one soft brush), you also will get 1 body exfoliator, 1 pumice sphere and water-resistant strap for hanging! No more clogged pores…this brush will get your face clean and feeling refreshed! Are you ready for faster and easier cleaning? These microfiber cloths do the trick. Created and designed by a former cleaning lady who wanted to change the way she cleaned, these cloths are almost unbeatable in today’s industry. No more using 10 different cloths for different things. Now, you can use the one cloth for three different things! Need to wash, dry and polish? Do all three with just one cloth. The secret? The tight weave of the fabric makes the cloths strong and effective, capturing all the dust and yuck in every swipe! 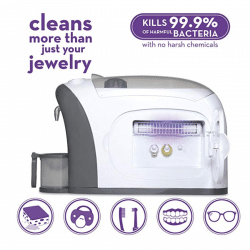 REVOLUTIONARY 3 IN 1 CLEANER & SANITIZER – Professional grade, easy to operate machine with soft-touch digital lighted control panel uses an ultrasonic bath, pressurized steam and UV light sanitation technology to clean and sanitize your jewelry (watches, necklaces, rings, precious stones), personal items (toothbrush, dentures, night guard, retainers, reading glasses), baby products (pacifiers, teethers), and home goods (sponges, kitchen utensils), coins and more. Give guests a warm greeting upon entering your home. The Trisha Yearwood Welcome sign exudes a friendly sentiment with flair. A casual typeface and rustic wooden plank help convey happy feelings with style. Bring a rustic accent to your living space with this charming tray. 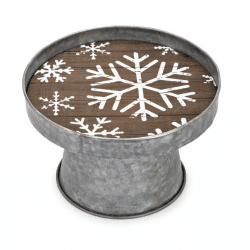 Made from galvanized metal and wood, it will make a great accent piece for your home. It looks great with or without filler on any surface. Ready to take care of your skin like never before? The TwinMedix Pro Essentials Kit will do the trick. Designed to brighten, renew and defend, your skin will never be neglected again! Included is an oxygen face mask and an exfoliating cream that will leave you wondering why you didn’t get this kit before now! WONDERBOOM is a super-portable Bluetooth® speaker with surprisingly big sound. It’s your go-to accessory for conjuring the magic out of music. Enjoy 360* sound that is bright, beautiful and with balanced bass. Completely waterproof, floats, and —yes— it will even serenade you. It’s also great for showers, pools, beaches, muddy fields and rainy days. If it gets dirty, just rinse it off. 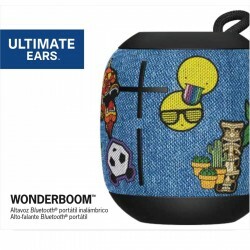 Wonderboom is the perfect gift for music lovers! 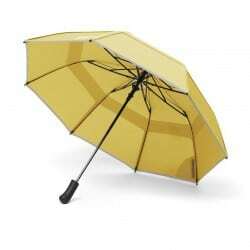 The Weatherman® Collapsible is an ingenious spin on the commuter umbrella. Designed by a meteorologist, no detail is overlooked: industrial-strength fiberglass defends against breaking and inverting, Teflon-coated fabric repels water, and vented canopies withstand winds up to 55 mph. The Weatherman app for Android and iOS notifies you of weather conditions, and syncs with Bluetooth technology so you’ll never leave it behind. There’s no other umbrella like it in the world—we checked. This isn’t just ANY blow-up lounger. This one has a fully functional, adjustable back rest!!! Put it EXACTLY where you need it so you are as comfortable as you can be. With no pump needed, just grab a few scoop fulls of air and you’ll be on your way to comfy and fun lounging! Take it with you on a trip, give it as a gift, use it in the kids room or just use it while you’re watching TV…you won’t be dissapointed! 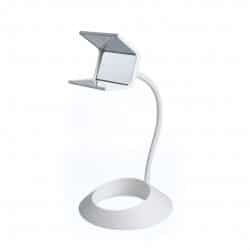 Watching over your house has never been easier! This WyzeCam Smart Home Camera runs off your wireless home internet and allows you to keep track of what’s going on 24/7. Going on a vacation or leaving town for the day? Keep track of your house via your smartphone at all times and make sure everything is beautiful and secure while you’re gone! This one brings the fun and games of Wheel of Fortune AND Jeopardy into your house! Can’t make up your mind on which one is your favorite? You don’t have to! You can play alone or compete with other gamers around the world, play the original version or play quick mode…the opportunities are endless! Love Jeopardy? Play solo, against others or offline. Exercise that brain power and get smarter! 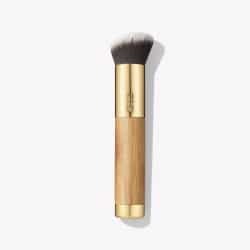 I would love the smoothie blender foundation brush! 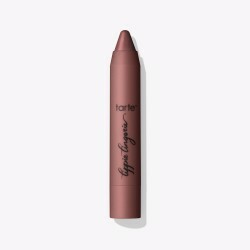 I have been looking for a good one and i love all things makeup! I’d love Mario Kart 8! I’ve been a Mario junkie since I was a kid. I would love to have the Shark Ion Robot Vacuum. My floors are always needing to be vacuumed. Thank you! the PeachSkin Sheets look really cozy! I would love to have the Shark Ion Robot Vacuum. I really want Canon EOS Rebel T6 Digital SLR Camera! I would love the Shark Ion Robot Vacuum! I would love the Star Shower Window Wonderland! I’d love Snug as a Bug Pjs. I’d really love to get one of the Shark Ion Robot Vacuum. I love Shark Ion Robot Vacuum. I would love the peachskin sheets in midnight black, I love a good nights rest. I love the Inflatable Lounger Air Hammock Sofa by Wise Owl Outfitters. Looks so comfortable and not expensive! I’d like to receive the Canon EOS Rebel T6 Digital SLR Camera. I’d love to receive the Mario Kart 8 game because I love the previous Mario kart games and I could play with my grandsons! I long for a Shark Ion Robot Vacuum. Shark Ion Robot Vacuum. I just bought a robot vacuum but it isn’t quite what I wanted and doesn’t work well. I would love the clay stick foundation. With my bad back I would love The Shark Ion Robot Vacuum! 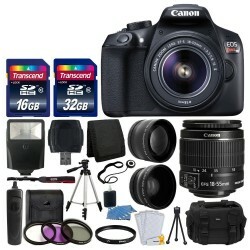 I’d love to receive the Canon EOS Rebel T6 Digital SLR Camera! 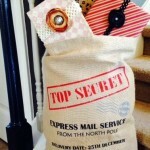 I would love to win the Essentials Kit. I would most like the Canon EOS Rebel T6 Digital SLR Camera. I like the Motorola T107 Talkabout Radio, these would come in great use, when my husband in the garage and we need to communicate. 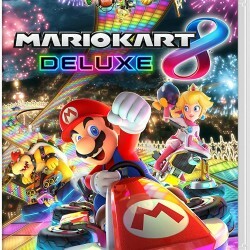 I would want Mario Kart 8 Deluxe for the switch the most. I would love to have the smoothie blender foundation brush. I’d love to receive the Canon Rebel! These are excellent ideas. I have the Toiletree brush and it is awesome! I would love the Canon EOS Rebel T6 Digital SLR Camera. I would be more than happy to get the Canon EOS Rebel T6 Digital SLR Camera. Definitely would love Mario Kart 8! I’d like to receive the Canon EOS Rebel T6 Digital SLR Camera. I keep looking at them, but just don’t have the money to buy one. I would love those prince socks! I’m hoping Santa puts the Motorola T107 Talk about Radio under my tree! Oh wow I would love the Canon EOS Rebel T6 Digital SLR Camera as a gift! I love the Shark Ion vacuum. I would LOVE the Canon EOS Rebel T6 Digital SLR Camera. It’s my dream camera! I would love the sheets! New sheets are a luxury! I’d love either the Rebel Digital Camera or the Wyze Cams. The Shark Ion Robot Vacuum looks pretty cool. I would love new sheets! I would like be He bath bomb set!! I would love to receive the Shark Ion Robot Vacuum! The Wise Owl Lounge looks comfy. I’d love the peachskin sheets! The tile style and sport combo pack would be amazing for me! I would most like to receive the Shark Ion Robot Vaccuum! Would like the Mario Kart 8 game. I would love to receive the Shark Ion Robot Vacuum as a gift. I have been wanting one for a long time! The Wise Owl Lounge looks super comfy! Perfect place to read or work on my computer. 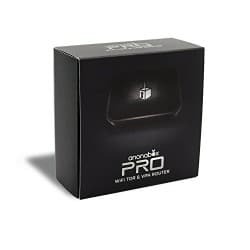 I would love the TwinMedix Pro:Essentials Kit! I would love to have the Mario Kart 8 game. Fit & Fab #4 Hair Care. The Canon camera looks awesome! The PeachSkin Sheets would ne a wonderful gift. 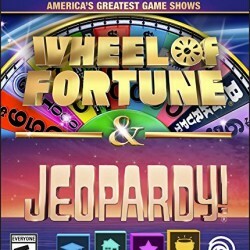 I’d like the Wheel of Fortune and Jeopardy game. I would like the Clay Stick foundation. I love trying out different cosmetics. Whoa I would love the Canon Rebel! NICE! I definitely wild love the shark robotic vacuum , less I have o do the better. I would like don’t sweat the small stuff in love. Well, I’d want everything…lol…but I’d have to say that Prince + Pete Starter Pack! Those socks are so darn cute! I really love the Canon EOS Rebel T6 Digital SLR Camera. With three boys and two dogs, the Shark Ion Robot Vacuum would be awesome! I would choose the Canon EOS Rebel T6 Digital SLR Camera. I’d most like the Red Copper 5 minute chef. Every time I see the commercial for it I say “I want one”. Oh I would love to have the Canon EOS Rebel T6 Digital SLR Camera. Very nice! I would most like the shark vac! The Trisha Yearwood Lantern is very pretty. I would love to get the Tile Style & Sport Combo Pack. I would love to receive the Fit & Fab #4 Hair Care set! It looks amazing! My son would like Mario Kart 8. I would love PeachSkin Sheets. I love a set of the PeachSkin Sheets! Would love to get my hands on a Shark Ion Robot Vacuum! Those peachskin sheets look AMAZING! ALways in need of new sheets. Mario kart 8 deluxe is my most wanted from this guide. I would really love the Canon Rebel camera, although the Shark Ion Robot vacuum is also tempting. I just think we have way too much cat hair for that Shark to handle. I would want the Shark Vacuum! The Wise Owl Lounge would be nice! I would love to receive The Canon EOS Rebel T6 Digital SLR Camera. Thanks for the chance and Happy Holidays!!!!. I would love to receive The Canon EOS Rebel T6 Digital SLR Camera. Thanks for the chance and Happy Holidays!!. I would love to find the Clay Stick Foundation in my stocking. Sounds nice! I like the Canon camera!! I would like the Tarte Clay Stick Foundation. I think Mario Kart 8 looks fun. I would truly love the Canon EOS Rebel T6 Digital SLR Camera! I really love the Snug as a Bug Pajamas. 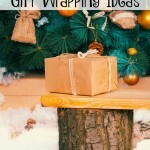 They are so cute and a great gift to give for the Holidays! The Shark Ion Robot Vacuum would come in handy! I would love to receive the Shark Ion Robot Vacuum!! I would like to receive their Fit & Fab #4 Hair Care. I would like green peach skin sheets. I love the Shark Ion Robot Vacuum. I like the Red Copper 5 Minute Chef. I would love the Red Copper 5 Minute Chef. The Motorola Talkabout Radios would be great and they’re a cute color! My family would like Snug as a Bug PJs. I like the Shark Ion Robot Vacuum. i want the vacuum but the owl lounge looks pretty comfy!! I would love the shark ion robot vacuum, I’ve always wanted to try one of the robot vacuums. My boys would like Mario Kart 8. I like the Shark Ion Robot vacuum! I would love to have the Anonabox Anonabox PRO Wi-Fi Tor & VPN Router. The Oregon Scientific Smart Globe looks fascinating! The Oregon Scientific Smart Globe would be great for my son. I would love the Tile Style & Sport Combo Pack!! I would love to receive the Canon EOS Rebel T6 Digital SLR Camera. 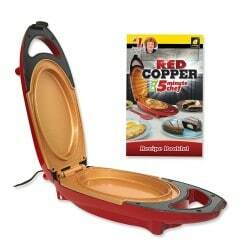 I’m a kitchen gadget junkie- I would have to choose the Red copper “Five Minute Chef” gift. I want a lot of those gifts! But if I had to choose just one, it would be the Shark Ion Robot Vacuum. Everyone seems to be getting them nowadays and I really would rather relax than vacuum lol…so this would be perfect. My boys would love the Mario Kart 8 Deluxe. I would love to have a new camera, the Canon EOS Rebel T6 Digital SLR Camera would be awesome. I would most like to receive the Shark Ion Robot Vacuum. The PeachSkin Sheets would make a great gift.. The PeachSkin Sheet Set would be a cozy gift! I’d like the Shark Ion Robot Vacuum. So many amazing products. I could really use the toiletree facial brush right now though. I like the Canon EOS Rebel T6 Digital SLR Camera. I would love to receive the shark ion vaccum n robot. I would really love the Shark Ion Robot Vacuum. Snug As a Bug PJS looks like fun! I would love to receive a new set of peachskin sheets. I would love to get the shark robot vacume . I’ll love to get the set of PeachSkin Sheets! I would like to receive the Tile Style & Sport Combo Pack.. I would love the Don’t Sweat the Small Stuff Ceramic Mug! The Canon Rebel camera would make a great gift! Canon EOS Rebel T6 Digital SLR Camera!!! I would love the 5 minute Red Cooper Chef. I have 3 indoor pets so the Shark Ion Robot Vacuum would be nice! 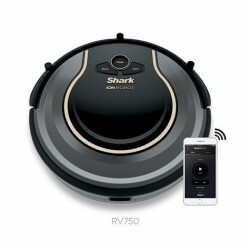 Shark Ion Robot Vacuum would be awesome!! the smart globe would be perfect for my preschoolers! i would love to get the Shark Ion Robot Vacuum. I like the Star Shower Slide Show. The Shark Ion Robot Vacuum would be awesome. I hate vacuuming. The Canon EOS Rebel T6 Digital SLR Camera. The Don’t Sweat the Small Stuff Ceramic Mug would be great for my husband’s boss. I would love to win the shark ion robot vacuum! 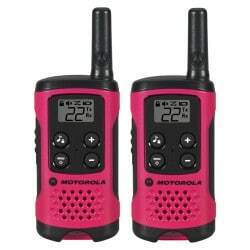 The Motorola T107 Talkabout Radios would be great for when my kids are playing with other kids in the neighborhood. I’d love to get the Canon EOS Rebel T6 Digital SLR Camera. I would love the Canon EOS Rebel T6 Digital SLR Camera. The wise owl lounge would be in my wish list! wow so hard to choose! think I would start with the Shark Ion robot vacuum! I would love to have the Canon EOS Rebel T6 Digital SLR Camera!! I’d like to have a Cannon camera. My daughter bought one for her graduation and she loves it. I would want the Canon camera the most. The Snug As a Bug PJS look really cute. I’d like the clay stick foundation. 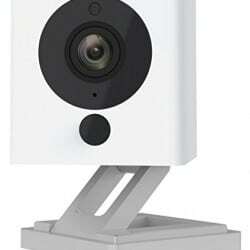 I would love to receive Wyze Cams. 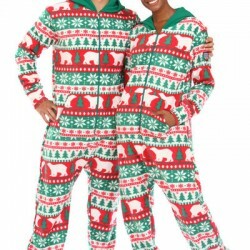 I would love to have Snug as a Bug Pajamas! I’d get my mother a Keurig! I would love a set of PeachSkin Sheets. Wise Owl Lounge would be great to have! I’d love to get the PeachSkin Sheets – They sound amazing! I’d love to receive the Canon EOS Rebel T6 Digital SLR Camera. I would LOVE the Canon EOS Rebel T6 Digital SLR Camera! I would like the Motorola T107 Talkabout Radios. I like their Motorola T107 Talkabout Radio. I would love to get the Canon EOS Rebel T6 Digital SLR Camera. I’d love to have the Shark Ion Robot Vacuum. It would be both handy and cool. I would LOVE the Shark Ion Vacuum !! I would love the Shark Ion robotic vacuum! I would love the Wise Owl Lounge. I like the Wise Owl Lounge, looks comfy. I love the Smart Globe, and the robot vacuum! The peachskin sheets would come in handy. I would love the wise owl lounge, its looks so comfy. I would love the Shark Robot to keep up with the pet hair. I would really like the Toiletree, I have been wanting one of these facial cleansers for a long time. Oh boy I am all for the Shark Ion Robot Vacuum. Make one job a lot easier. I’d most like to get the Red Copper 5 Minute Chef! Snug As a Bug PJS, can never have too many PJs! I like the Trisha Yearwood Lantern and her tree. I would love the Shark Ion Robot Vacuum. Don’t Sweat the Small Stuff for Men! I would LOVE to get the Shark Ion Robot Vacuum! Awesome gift guide! So hard for me to choose what I’d love the most from this guide, but I think I’d go with the Canon EOS REbel T6 Digital SLR Camera! My last dSLR died a couple years ago & I’ve missed photography. I would like the Canon EOS Rebel T6 Digital SLR Camera. I would definitely like the Shark Ion vacuum. 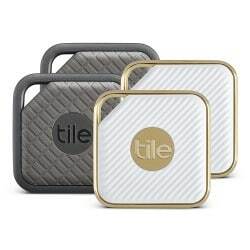 I would love the Tile products, no more searching for the man’s misplaced keys and wallet every other day. The digital camera would be awesome! i really want an air fryer! Canon EOS Rebel T6 Digital SLR Camera would be my pick as the family photographer. The Shark robot vacuum would be so awesome to have. Would save me a lot of time! I would like the Snug as a Bug pj’s. I would love a Wise Owl Lounge. I would love to have the Shark Ion Robot Vacuum. I have Peachskin sheets and I love them. I would love to have that Wise Owl Lounge. It would be great for a lazy Saturday! OMG I have wanted a Shark Ion Robot Vacuum for a long time. My kids would like the Motorola talk about radios. Motorola T107 Talkabout Radios could be really handy! I would love to try that Clay Stick Foundation.